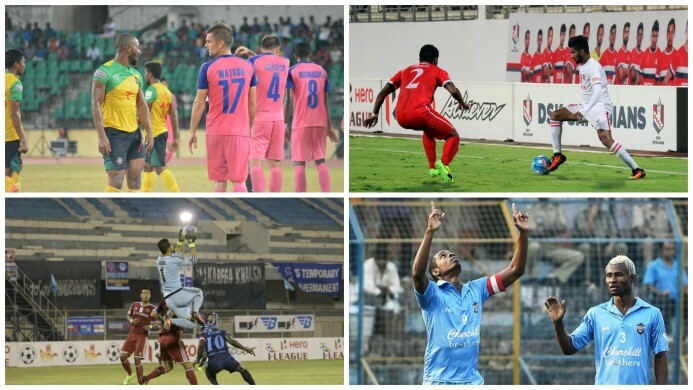 Khel Now takes a look at the five important things we learned after the 13th round of I-league. . .
As the I-League head towards the break and ultimately its conclusion, the competition has started to become more stiff and harder than before. The 13th round of the league fixtures concluded on Wednesday; several heartbreaks took place for the title contenders as well as the relegation fighters. Based on the recent happenings in the latest round of the I-League, Khel Now takes a look at the five important takeaways from the recent games. Since the beginning of this decade, East Bengal have made a fashion out of losing their rhythm in the backend of the title race. The Kolkata-based club have been accused of below par performances in the second half of the league since long, where they had lost to league minnows in the past and gone out of the title race, much like what they did against Goan side Churchill Brothers on Tuesday. The Red and Gold brigade had previously lost to Salgaocar, United Sports, ONGC, Churchill Brothers and Mumbai FC (both twice in the last four years) and played in a similar fashion at the Barasat Stadium last Tuesday. 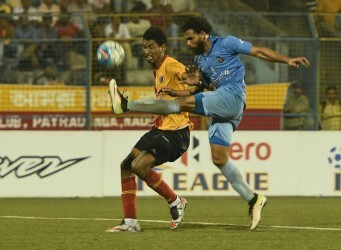 In their fixture against Derrick Pereira’s men, East Bengal displayed what might be called their poorest performance in the league this year and were defeated for the second time in the season. Following the loss against the Red Machines, questions have been raised as to whether they have the mentality to successfully manage a title race. The Goan side started their season on a low note. The Red Machines faced several defeats and took a dip to the bottom of the league under the managerial stint of Alfred Fernandes. However, the Churchill officials decided to appoint veteran coach Derrick Pereira as the new head coach after just one win in 10 games and since they have only gone upward. Churchill have shown an incredible rise in the performance charts in the recent times as the Red Machines defeated two of the three title contenders, Mohun Bagan and East Bengal in their last two league games and now occupy the sixth position in the league standings. Pereira has brought the much-needed stability, leadership and direction in the Churchill dressing room and has boosted the morale of the players which has enabled the Goa-based club to get back on their feet. The Mizoram-based club have emerged as one of the title contenders in this year’s I-League after a series of good performances in the past fixtures. After the disastrous performances in the league last season, the Highlanders have undergone a massive revamp in their approach to the game under the coaching of Khalid Jamil, which has made them one of the best defensive units in the top flight of Indian football. Not being able to score many goals, the Reds have concentrated more on their defensive duties which has seen them win multiple games by a single goal, keeping clean sheets in the process. With a string of tricky away fixtures coming up for them, defense will be the key for Aizawl to win their maiden I-League trophy at the end of the season. Another northeast club in this year’s top flight, Shillong Lajong were written off by many pundits at the beginning of the season when they were handed a string of defeats. But since then, the Shillong-based club have emerged as one of the form teams if the league. Shillong Lajong have already asmassed 19 points, a point more than last year’s tally and are sitting pretty in fourth position of the league table. However, with challenging games coming up, Singto and his tactics will be the key for Lajong to end their season on a high note. 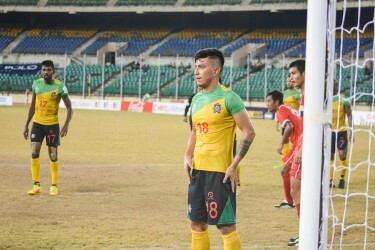 The Yellow Submarines’ performance unexpectedly took a downhill turn this season after the appointment of Santosh Kashyap who replaced Khalid Jamil at the helm. The Mumbaikars have won only two of their 13 league matches and collected 10 points in this campaign. With the sole objective of surviving in the top flight, Mumbai FC now need to win at least a match before the international break and continue to breathe easier. The Mumbai side showed glimpses of their true potential against Mohun Bagan in their last game but were denied three points against the Kolkata giants. However, if they can replicate their performance against DSK Shivajians in the forthcoming Maharashtra Derby, they will stand a chance of surviving the relegation at the end of the season.